I was so inspired by all the red accents of last week's card. I just love how it looks against an all-pastel background! I think this is a new favorite combo for me. And I've been loving playing with beads and different textures lately. It's been a fun way to add a little bit of sparkle and detail, when sequins just won't do. This little card is a just-because creation, so I'm adding it to the shoppe, and you can find it right here! 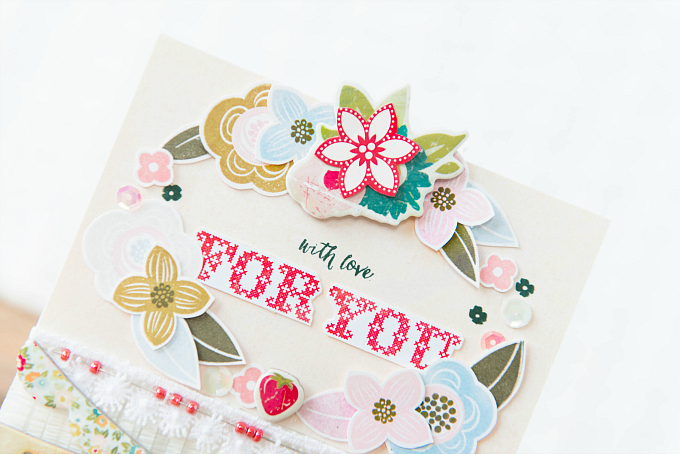 To create this card, I stamped a variety of flowers using the Shower Flower stamp set from CTMH. I used Spring Rain, Saffron Spice, Ripe Avocado, Pale Peony, Pinefeather, and Lovely Lady from Papretrey Ink's lovely lineup of colors. After assembling the florals, I added a chipboard accent to the top, along with a patterned paper cutout flower for a bold, red kick. Just around the leaves, I added a few pink and white sequins. For the sentiment, I used PTI's Stitched Sentiments stamp set, stamped in Pure Poppy. That's it for today's post friends :) Thanks for joining me! Layers of sweetness, this is darling! This is so pretty!! 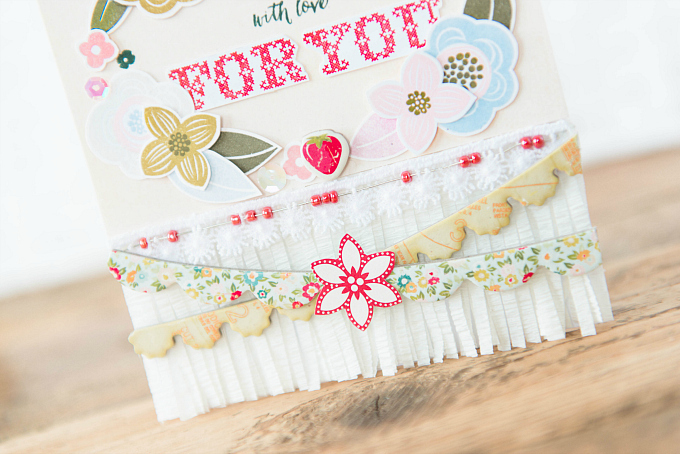 I love the fringe at the bottom of this card! !